How does one scrutinise a movie that pummels you with insane helicopter chases, intense hand-to-hand combat, a riveting motorcycle chase across Paris and more Tom Cruise running than you’ve ever seen before? You don’t. Instead you just sit back and enjoy the ride with Ethan Hunt. Two years after Mission: Impossible — Rogue Nation, the dastardly Syndicate group has morphed into the Apostles after the capture of its leader Solomon Lane (Sean Harris). Ethan Hunt and his Impossible Mission Force (IMF) have a task, to track down and secure three big baubles of plutonium and prevent them from getting into the hands of the Apostles. Of course, like all other episodes, here too, the message is delivered through an old self-destructing reel-to-reel tape recorder. The assignment that kicks off with Hunt and his IMF colleagues Luther Stickell (Ving Rhames) and Benji Dunn (Simon Pegg) getting ahold of three atomic cores to keep them from falling into the hands of the Apostles, but end up losing them mainly because Hunt can’t stand to lose one of his team. This doesn’t sit well with Alan Hunley (Alec Baldwin) and CIA director Erica Sloan (Angela Bassett), who saddles Hunt with one of her own, a tall, steely, moustachioed agent August Walker (Henry Cavill wearing some 70’s look) who does not share Hunt’s distaste for direct violence. Thereafter, the fast moving plot catapults you a propulsive ride through rapids and a near-perfect blend of old-school cliffhanger movie aesthetics with state of the art filmmaking technology. Generously sprinkled with some truly extraordinary sequences, Cruise is centre-frame for some truly gasp-inducing sequences. This includes a stunning foot chase across London rooftops that the camera sometimes strains to keep up with.Then there are also extended motorcycle chase, a twirling car chase, hair-raising skydive and a breathless helicopter finale. 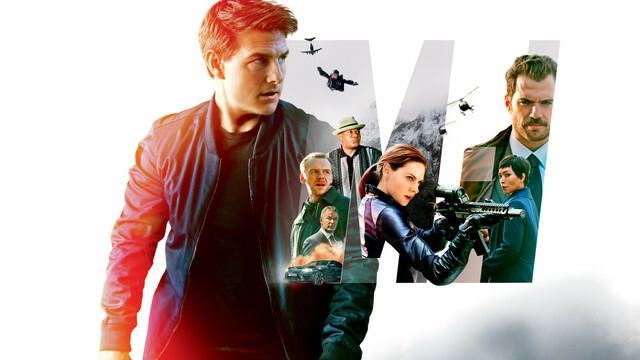 Christopher McQuarrie’s Mission: Impossible—Fallout is a great on thrills and nose-dives into old-school, free-fall action that reminds you why physical presence and real stunts still have the cinematic upper hand over CGI and green screens and technology. Amongst all the chase and hurtling down from 25,000 feet the movie leaps nimbly and confidently from one massive action scene to another. Each one with its own unique thrill and tensions that build on the previous. The story twists and turns all around, with Hunt even being framed as the villain at one point. Riddled with action scenes, the film falls heavily on on real stunts, real locations, and the convincing illusion that the stars are really in danger. McQuarrie transforms the familiar and the formulaic into something truly pulse-pounding, like the grand climax that finds Luther and Benji trying to disarm two nuclear weapons while Hunt pursues the villain who holds a crucial key followed by the chopper chase in the mountains and the fisticuffs at the edge of, and then over the edge of, a sheer cliff. All this transpires on a 15-minute countdown ratcheting up the tension so high it leaves you exhausted and wanting an eighth instalment. Now in its sixth instalment, this is a franchise done right, that somehow gets better with each chapter. And so does Tom Cruise! 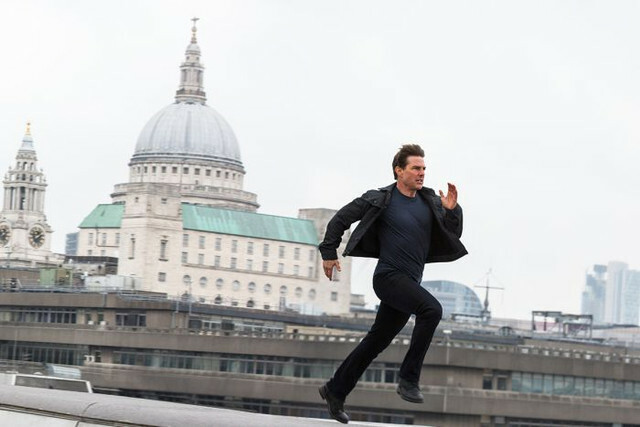 Along with McQuarrie, Cruise delivers a benchmark setter for action movies that begs to be enjoyed on the big screen.